Simply Greek - Long Branch, Long Branch : Happy Hour at Simply Greek Eats! Simply Greek - Long Branch - Happy Hour at Simply Greek Eats! Happy Hour at Simply Greek Eats! 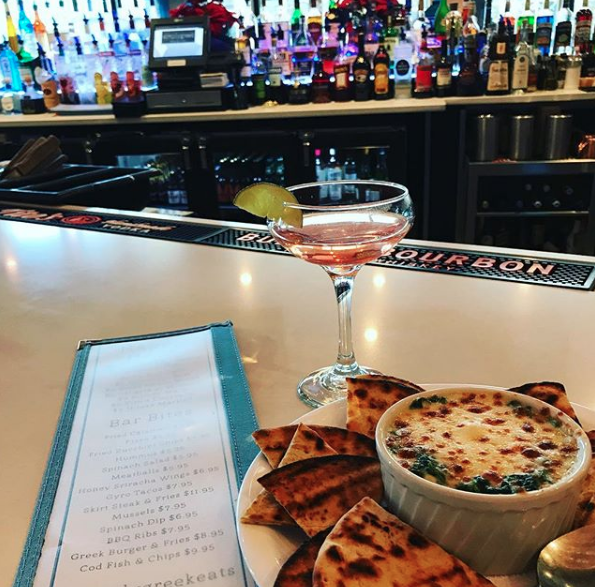 Simply Greek Eats in Long Branch offers an incredible Happy Hour with awesome drink specials and delicious Greek and Mediterranean foods. Enjoy Happy Hour every Monday through Friday from 4pm-7pm and Saturdays and Sundays from 1pm-6pm! $2.50 Bud Lights, $4 select draft beer, $5 Sangria, $6 house wines, $7 Martinis, $10 Frose and BAR BITES from $5.95! This sounds like an incredible deal to us. Come out to Simply Greek Eats and have a great time! Happy Hour is available at their Pier Village Location (Long Branch) ONLY. Simply Greek is a purveyor of Greek and Mediterranean dining. With two convenient locations, we have been serving quality interpretations of classic and modern Mediterranean inspired dishes and always venturing into the uncharted territories of food. Simply Greek fuses a hip and inviting atmosphere while keeping true a classic Mediterranean feel. Come in and enjoy your choice of indoor or outdoor seating or have a seat at our full service bar and enjoy the game on one of our four HD flat screen televisions.